252 pages | 2 Color Illus. Dominique Hes is an academic at the University of Melbourne who has been asking: ‘Why, when we have been "doing" sustainability for so long, are we having an ever-increasing impact?’ People create such beauty with music, food, art, buildings and community, so why is it so difficult to be a thriving part of the earth’s systems? She has degrees in Science (Botany) from the University of Melbourne, Engineering (Cleaner Production) and a PhD in Architecture from RMIT University, Australia. 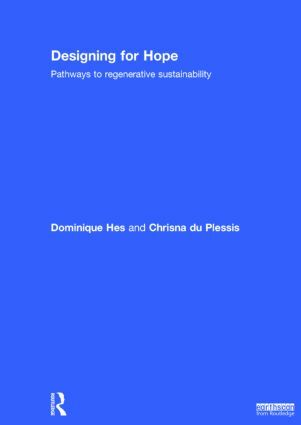 Chrisna du Plessis is Associate Professor in the Department of Construction Economics, University of Pretoria, South Africa, where she explores what concepts such as resilience and regenerative design would mean for how we think about urban sustainability and how we live our lives. She holds degrees in architecture from the University of Pretoria, a PhD from the University of Salford, UK and an honorary doctorate from Chalmers University of Technology, Sweden.